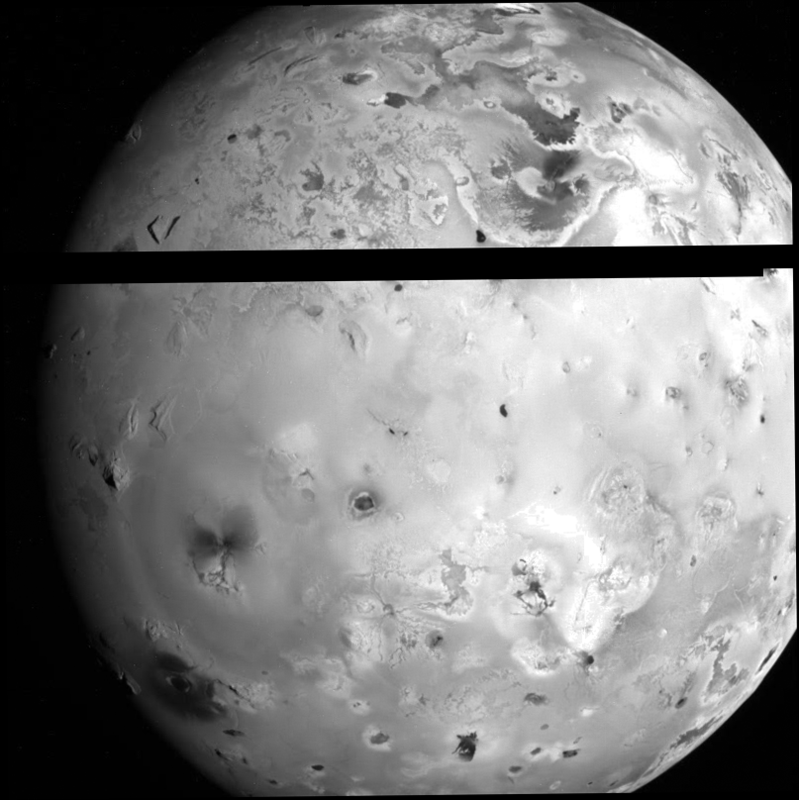 This evening, I finished reprocessing most of the images from the Galileo's E6 orbit from mid-February 1997. These include the following sequences: E6ISSRFMON01, E6ISPLUME_01, E6ISTOPMAP01, and E6ISSRFMON02. 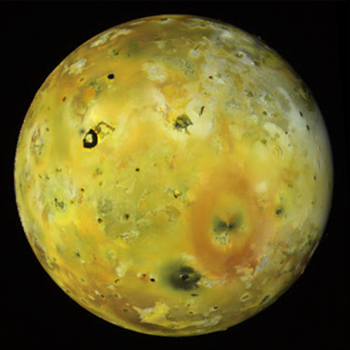 E6ISSRFMON01 covers the leading hemisphere of Io using the SSI camera's Violet, Green, and IR-756 filter. I used the IR-756 filter due to the lack of a Red filter, so some of the reds appear a little more vividly than they would otherwise appear, like in the red deposits south of Zal Patera. 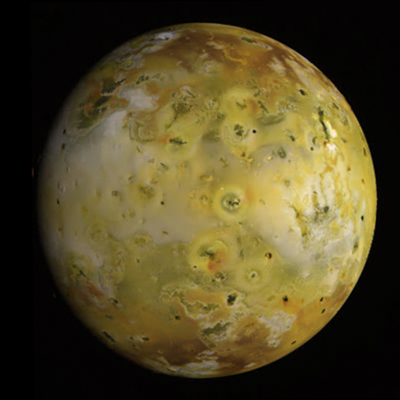 E6ISPLUME_01 (left) covers the anti-Jovian hemisphere using the SSI camera's Violet, Green, and Red filters. Very nice image of this hemisphere. E6ISTOPMAP01 is a medium-resolution, clear filter of the area around Colchis Regio and Pele. Very nice view of Boosaule Montes. Too bad this was never publicly released at the time. E6ISSRFMON02 cover the trailing hemisphere using the SSI camera's Violet, Green, and Red filters. 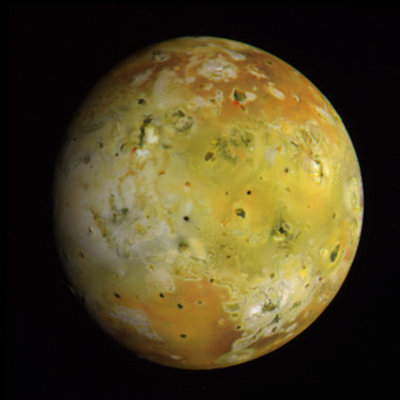 This image was released by the Galileo project at the time as PIA01223.